I implemented it as a service and the service will return a string property version, which can be injected to the views. Next you can inject the service to the controllers and views. And you can use it in the view like this. Which will displayed like this. By default it will display version 1.0.0.0, if you want to modify it you can add version element with required version info like this. One of the common requirement is updating the version number while deploying to QA / Production environments, to do this you can use some CI configuration variables. 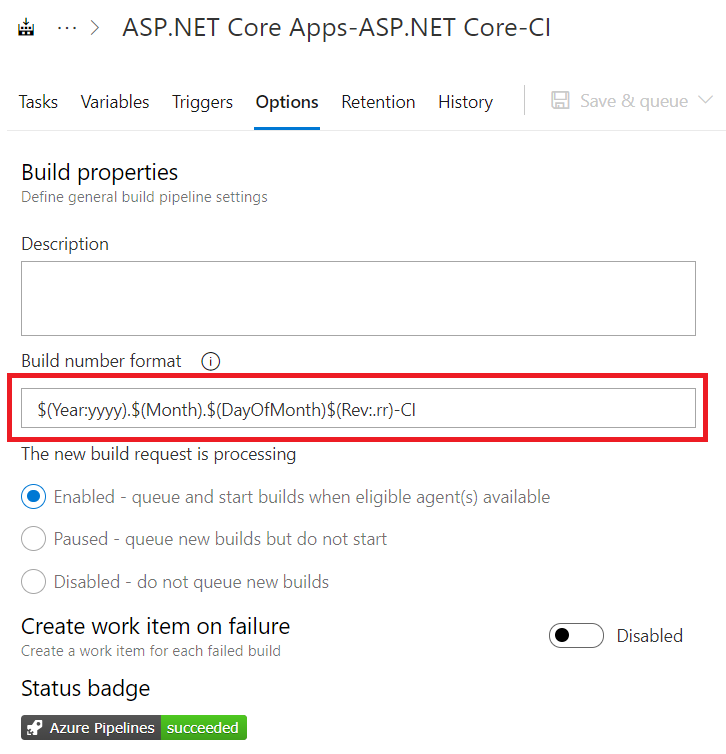 For Azure DevOps, you can use $(BUILD_BUILDNUMBER) variable. And you can configure it from Options > Build Properties. And you need to modify your project code like this. If the $(BUILD_BUILDNUMBER) variable is available, then it will take that otherwise (local dev environment) it will display like 1.2.3.4-Dev. The $(BUILD_BUILDNUMBER) will be populated like Year,Month,Day of Month and Build number.